Sky High Trampoline Park and Press Start to Join have teamed up to bring you the ultimate high-intensity thrill! One hour of bouncing, flipping and slam dunking in the trampoline park PLUS one hour of serious gaming challenges and competitions. Bouncing in the 11,000 sq. ft. park will get you hyped up and galvanised to deliver your best gaming performance. Only open to a maximum of 30 gamers in each session, you’ll be playing intense 2-player or 4-player challenges as well as individual contests. Prove your skill by winning the best lap time or top score and you’ll walk away with a coveted Press Start 2 Join Trophy. 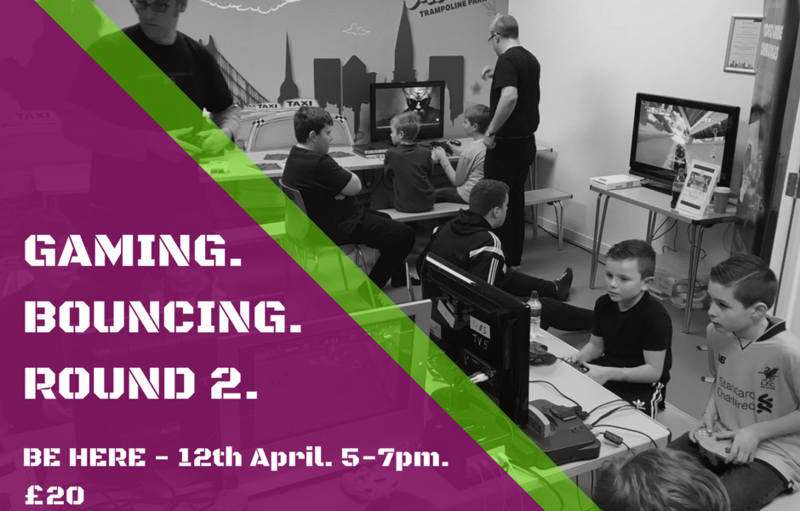 Read what happened at the Gaming & Bouncing event in March – what an epic event!